Famed author Neil Gaiman has generously boosted The Long Now Salon “brickstarter” with a donation of $25,000. We are honored to have his support and encouragement as we near the 50% mark of our Salon fundraising which we must reach to start construction this summer. In recognition of his gift, Long Now will engrave the dedication of his choice on a shelf in the Manual for Civilization. 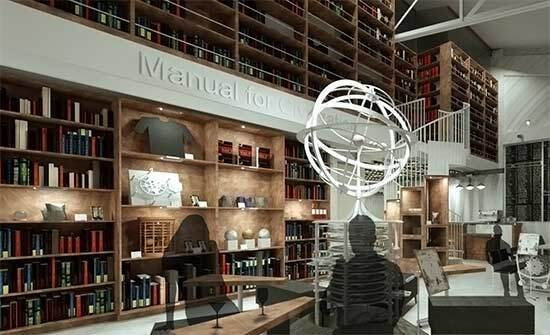 The Manual is a symbol of our mission to foster long-term thinking and responsibility, a collection of thousands of books which will fill shelves from floor to ceiling in our new Salon. Curated collaboratively between Long Now and our members and evolving over time, this living archive represents the knowledge that would be most useful to help restart civilization. 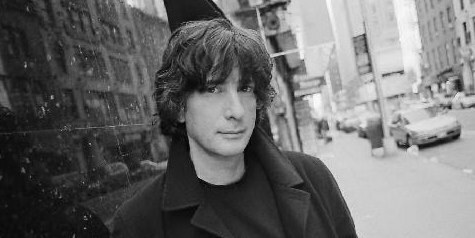 Neil Gaiman is the author of Coraline, American Gods, The Sandman comic series, and the new novel The Ocean at the End of the Lane which recently hit #1 on the New York Times best seller list.